Purpose: Use this document to view a retired asset. 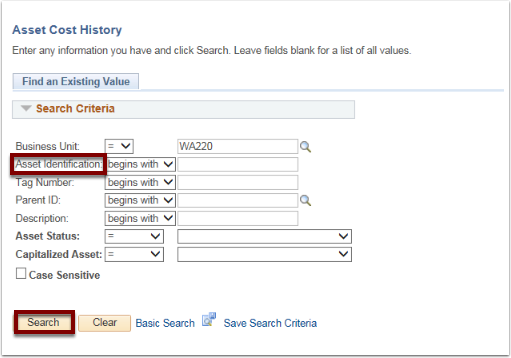 Enter valid value in the Asset Identification field. 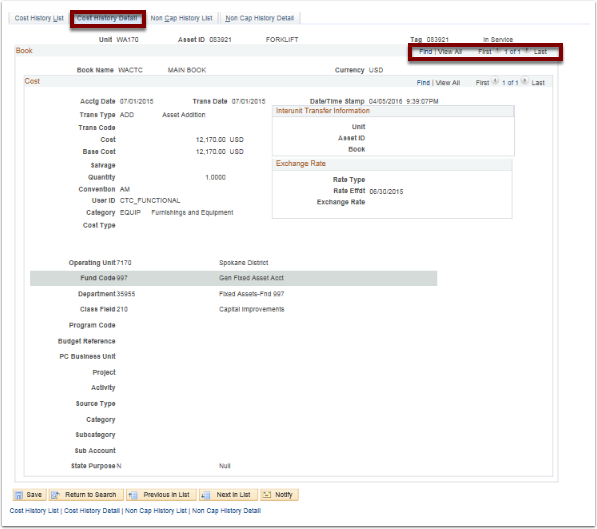 Use the Cost History List page to view a history of an asset's transactions, including assets that have been archived as an ADD transaction. For archived assets, the total cost includes the sum of the costs consolidated into one cost row.